When you bring indoor games outdoors, it’s essential to make them giant! These stacking cups are a hit, everyone from my 7 year old daughter to my 15 year old son love playing these. The person to stack their cups the fastest is the winner! 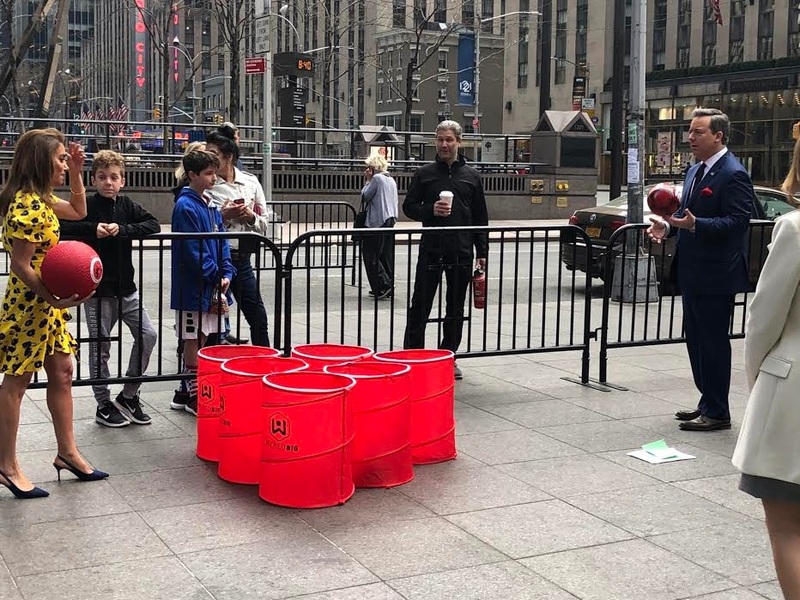 This is truly a classic game that any parent will enjoy playing with their kids and at parties, it’s always the biggest hit! 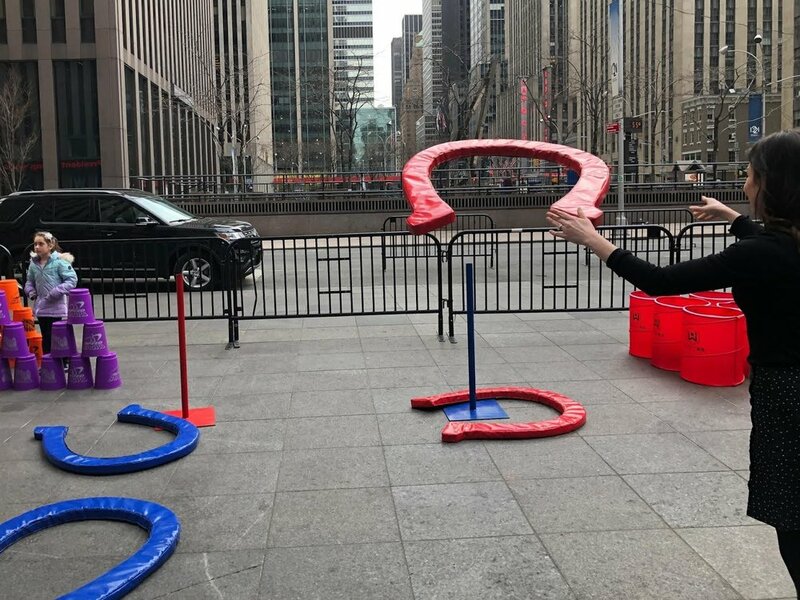 This horseshoe game is so fun because as you can see — the horseshoes are the size of your child. Throwing these is seriously a workout! This game is a blast for the entire family. For those of you not familiar with the classic Kerplunk, this is a giant version. The object of the game is to skillfully remove the sticks from the tube without letting the balls drop! There’s nothing more fun than a game that can come crashing down at any minute. This game of Jenga takes the expert touch to be able to remove a block without having any of the others come falling down. Get ready for this game to get loud! Everyone loves a good old fashioned game of checkers...especially when it is life size! This checkerboard is not like the one I used to say, you can actually walk around on the board as you place your checkers down. This game is a hit for parents and children of all ages! Connect four is a great game for all ages and having it be life sized makes it even more fun. Be the first one to get a full row of your color and you will be named the champion! This game is sure to fill your backyard with fun. The setup is simple, the “cups” just pop up into their shape and the ball even comes with its own pump. The person to make the most cups wins!